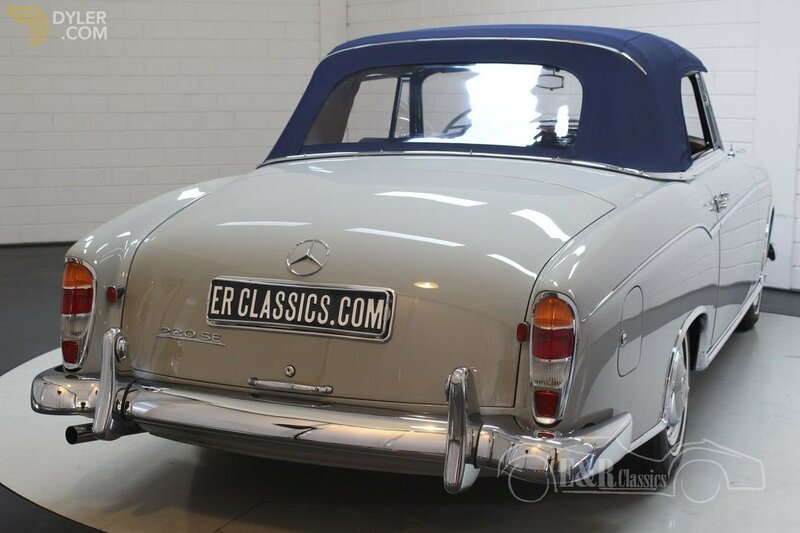 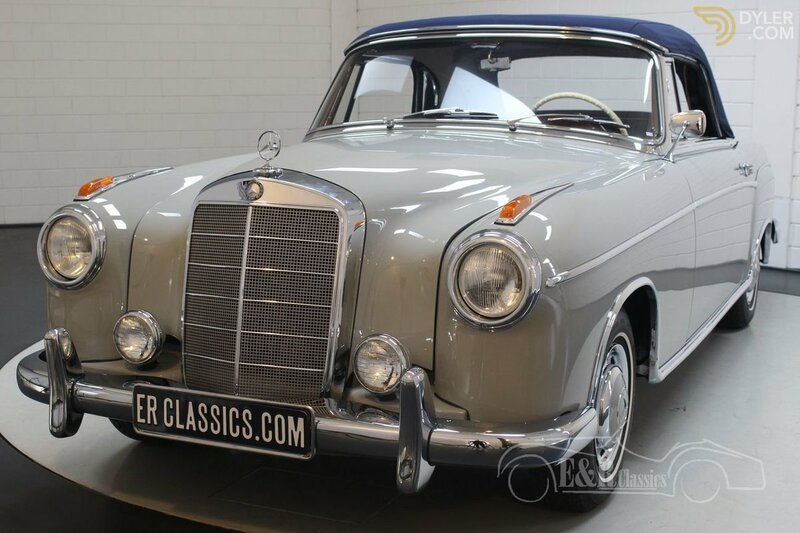 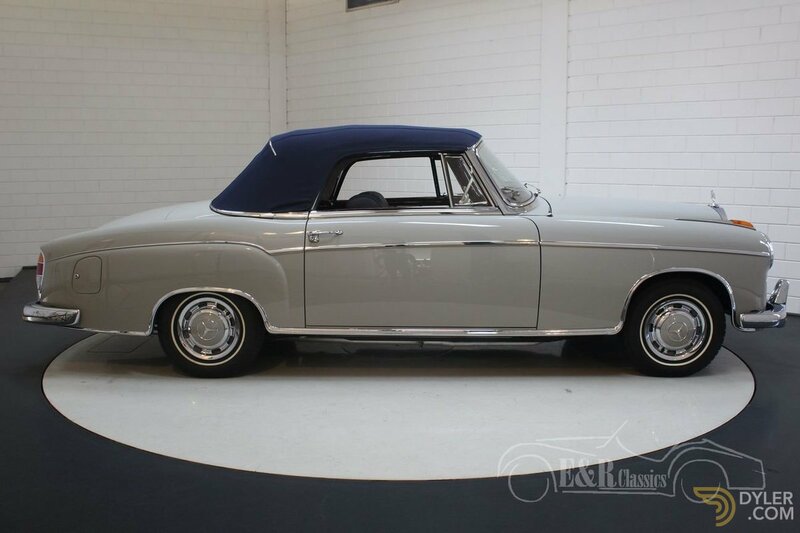 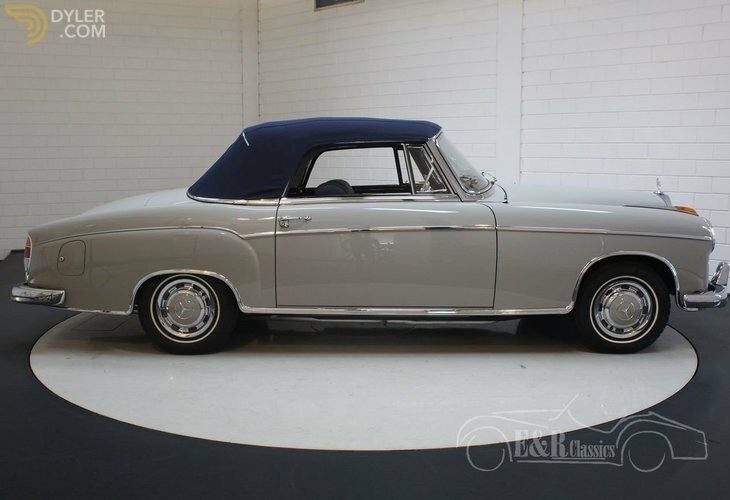 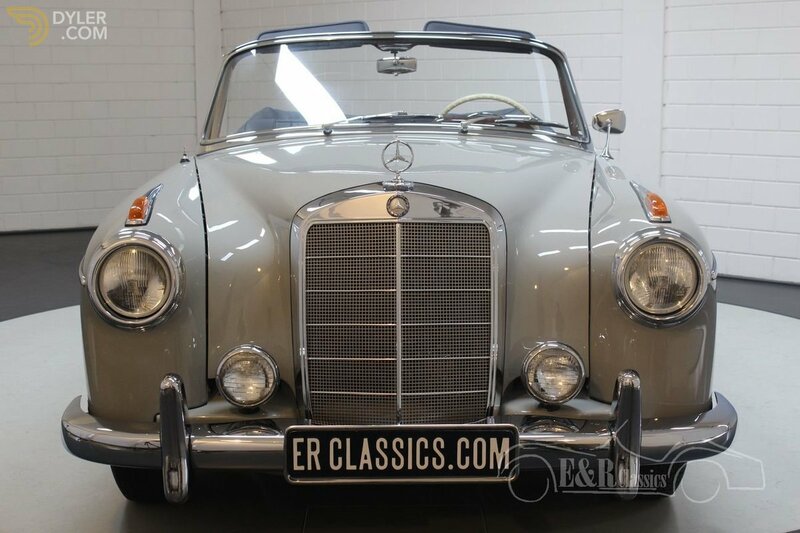 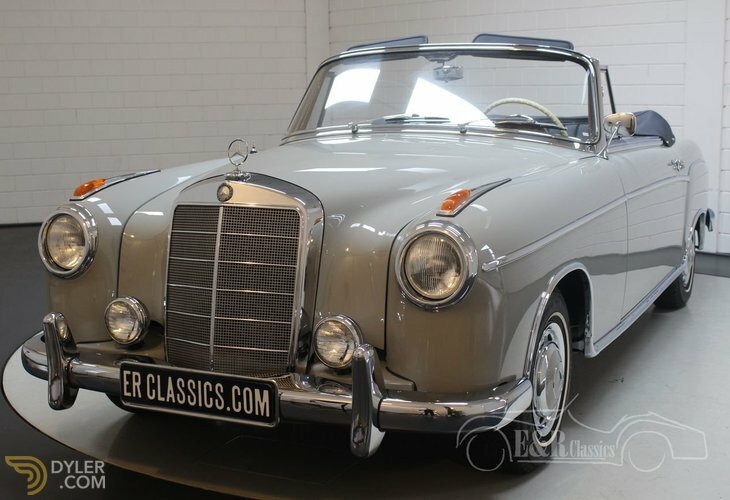 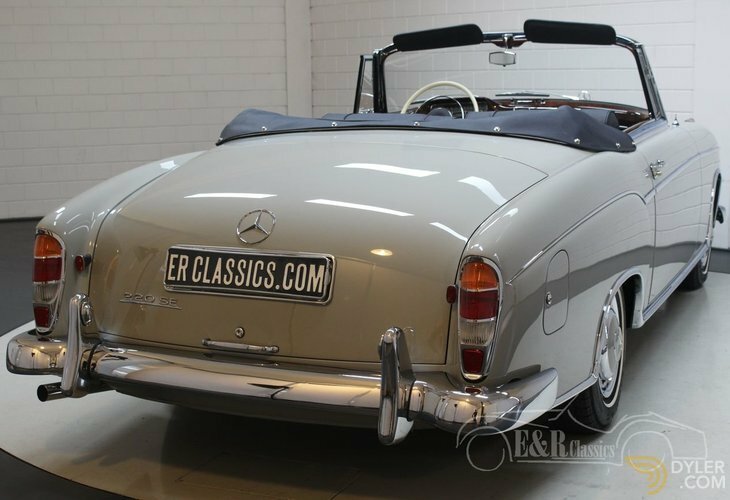 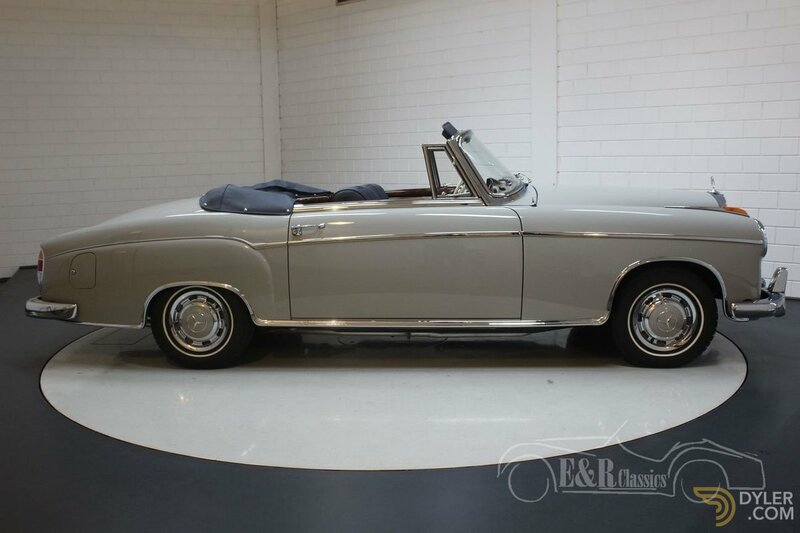 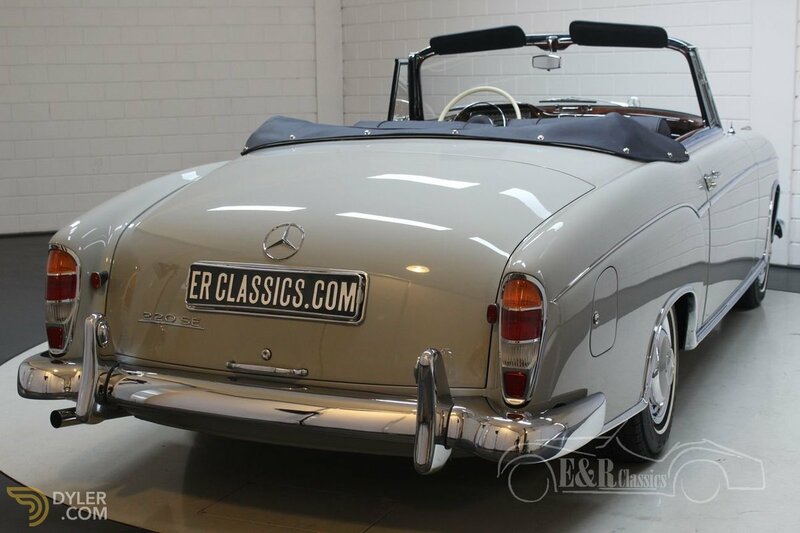 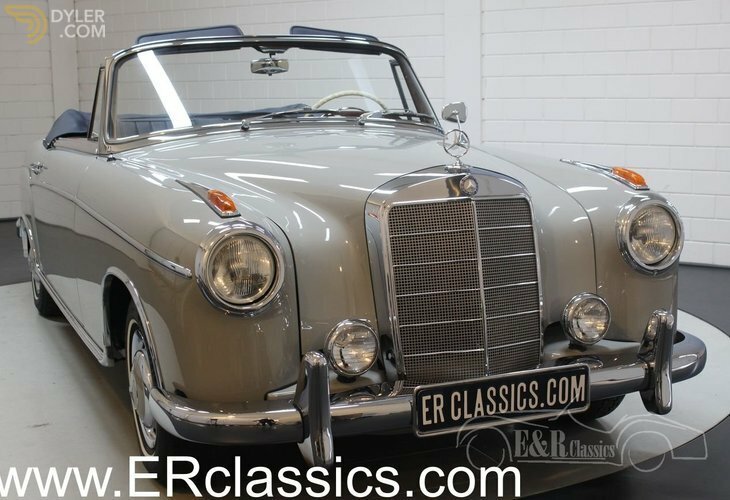 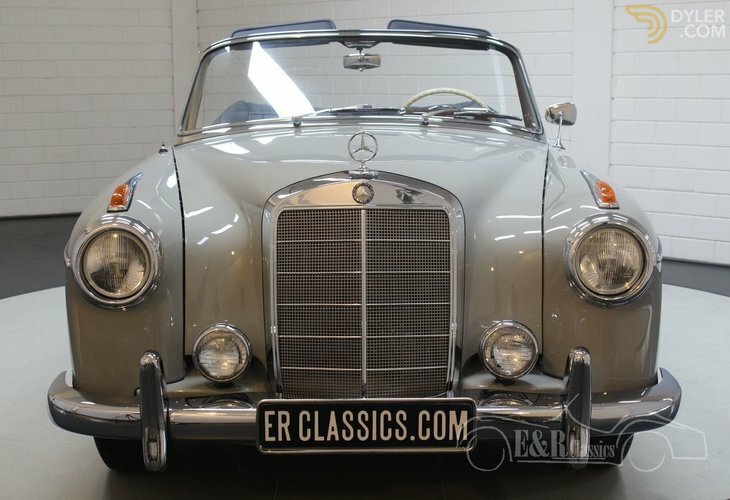 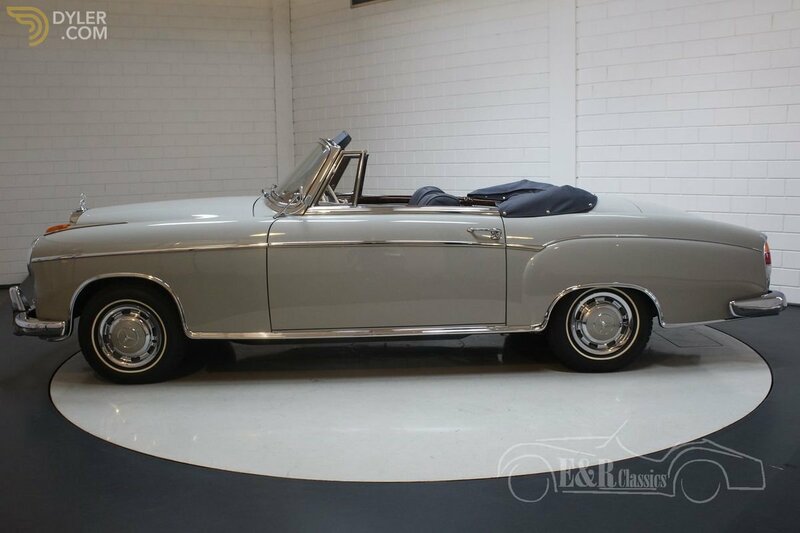 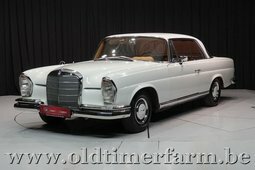 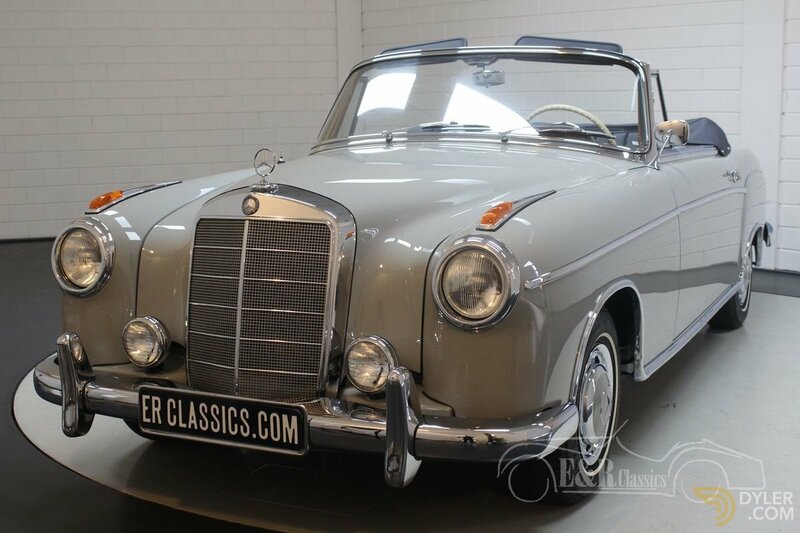 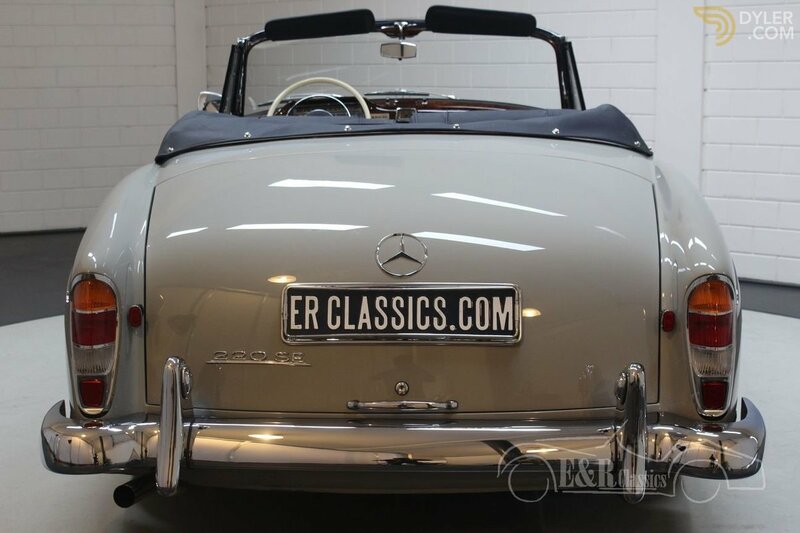 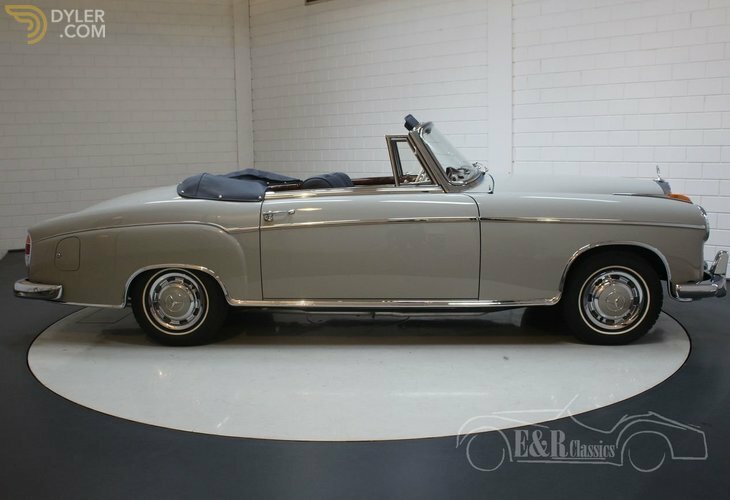 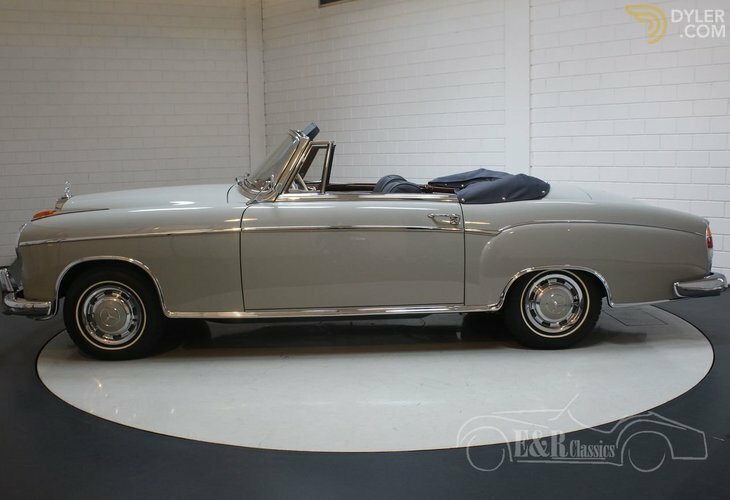 This fantastic Mercedes-Benz 220 SE Cabriolet was built in 1960. 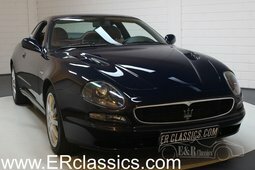 This car was expertly restored. 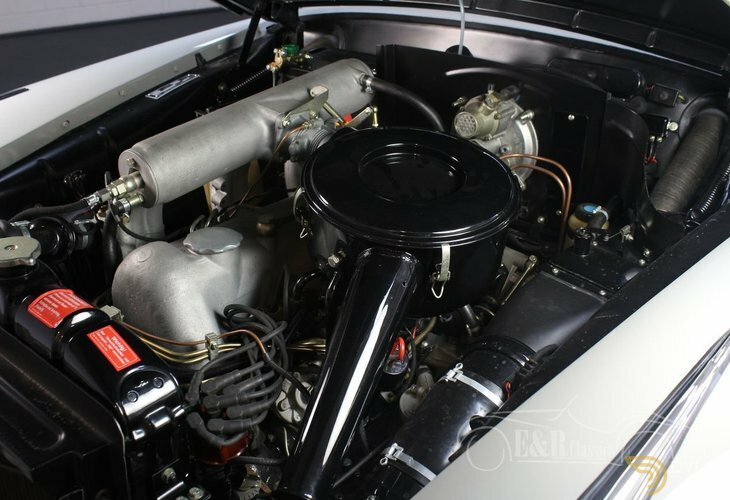 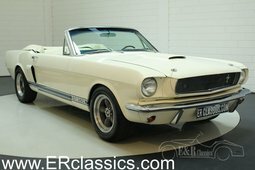 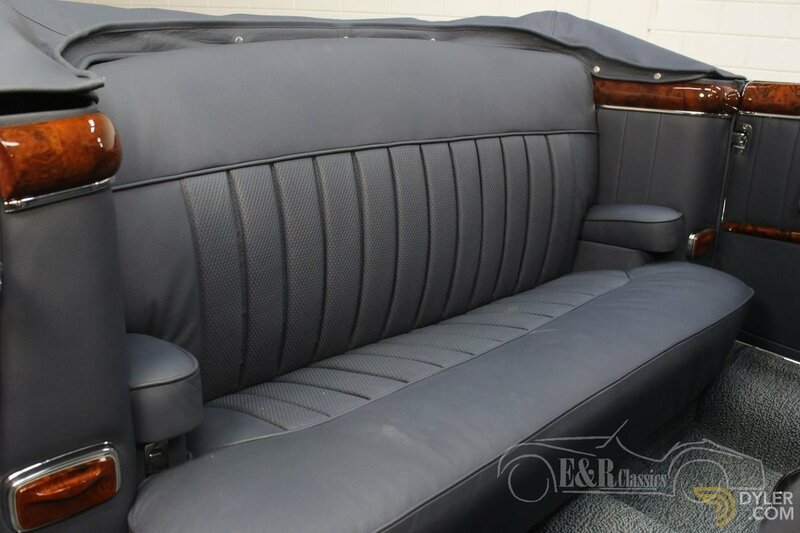 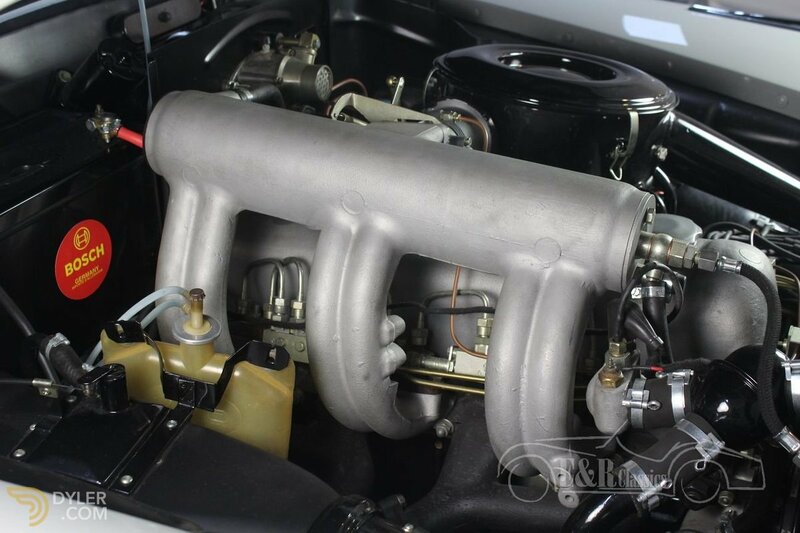 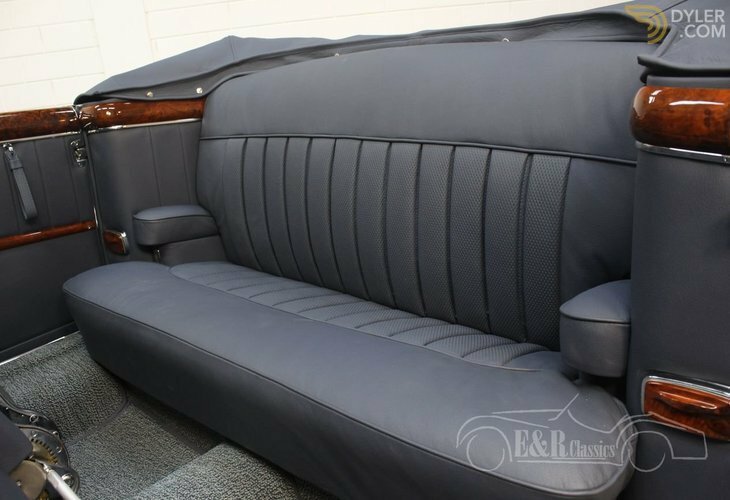 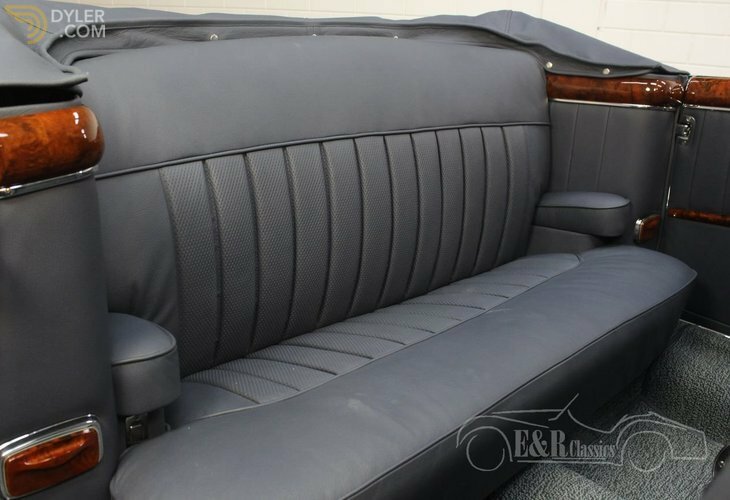 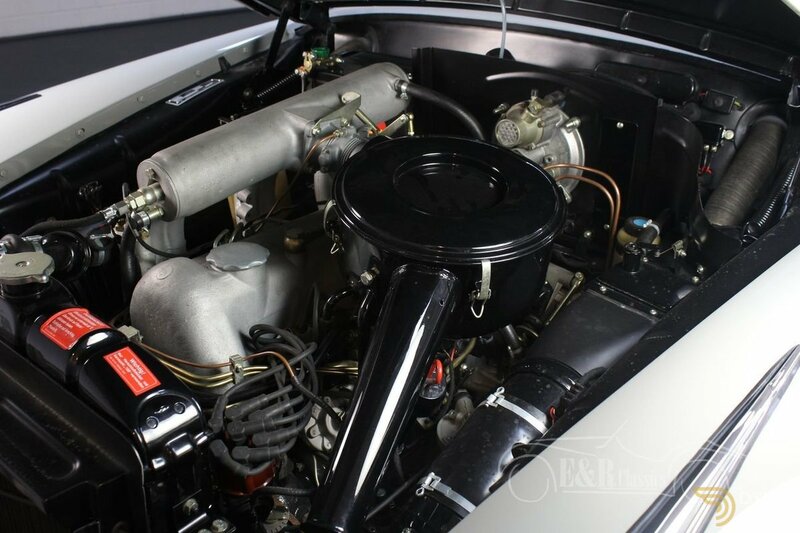 This complete restoration was completed in 2018 and the car is therefore in fantastic condition. The 220 SE Convertible, also called Ponton (W128), is equipped with a 2196cc six-cylinder in-line engine and a manual gearbox. 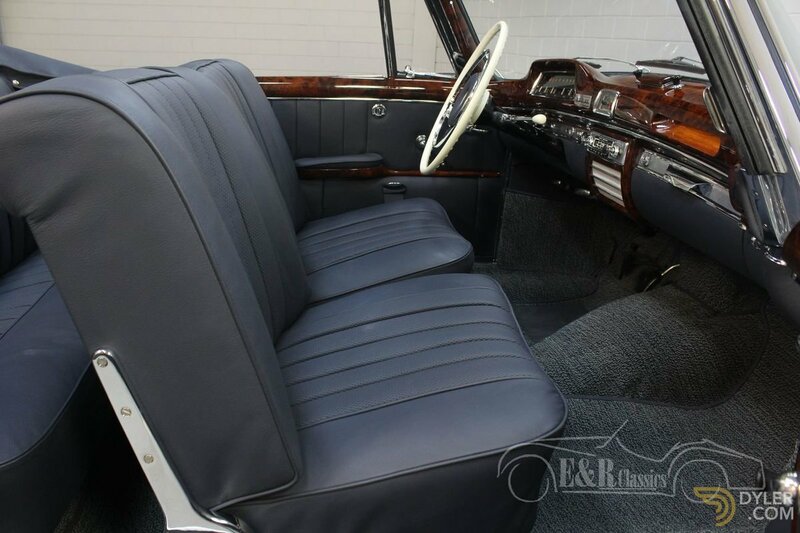 The paint is silver grey and the interior has blue leather upholstery. 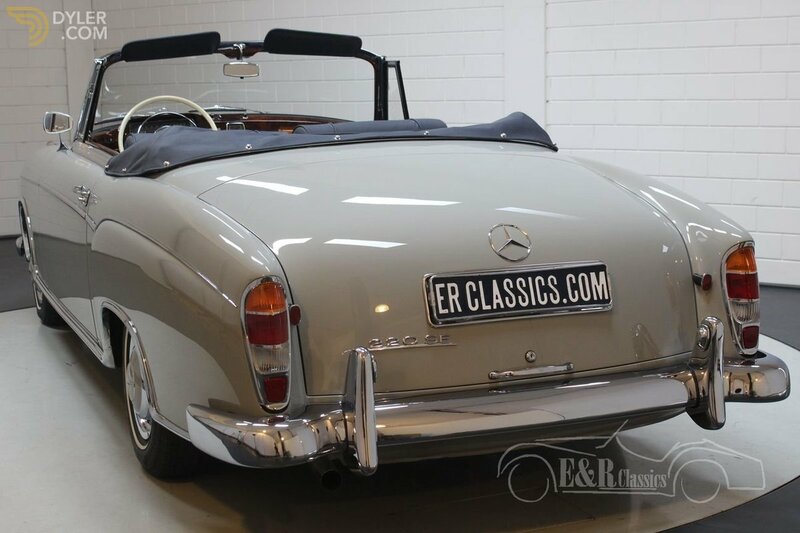 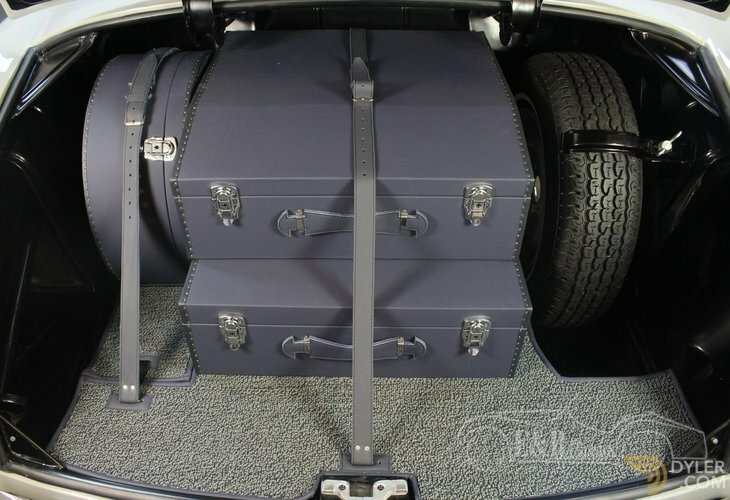 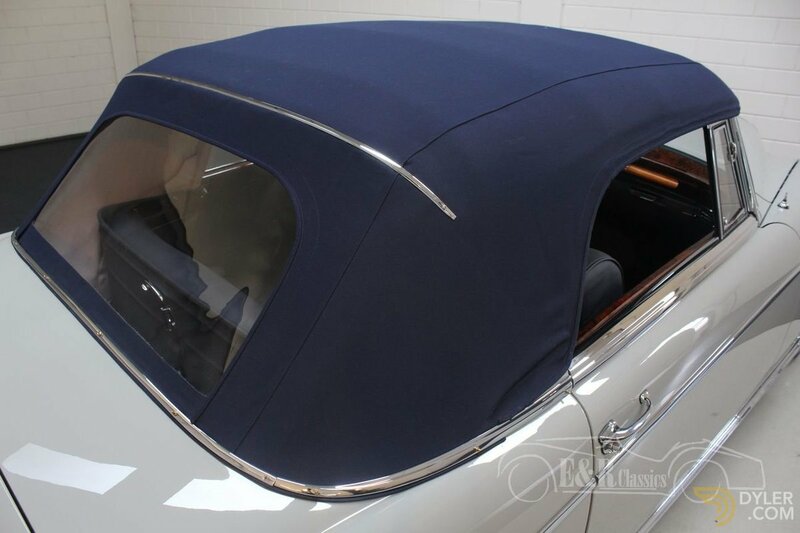 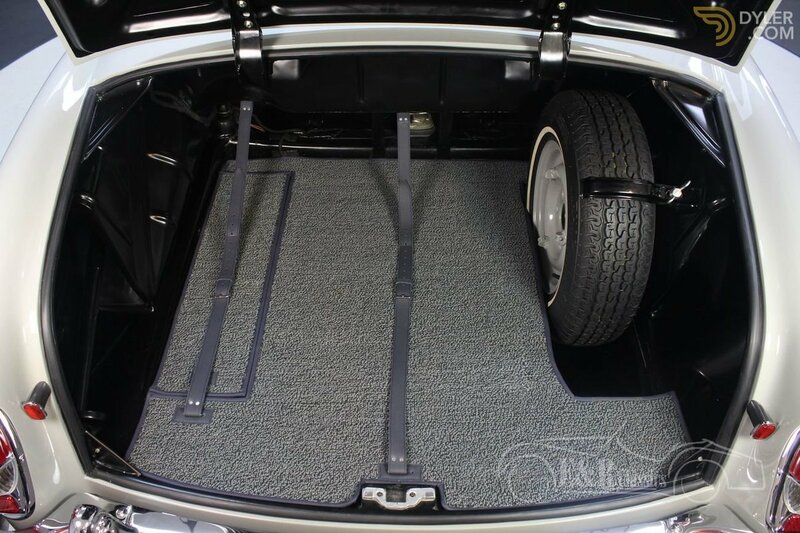 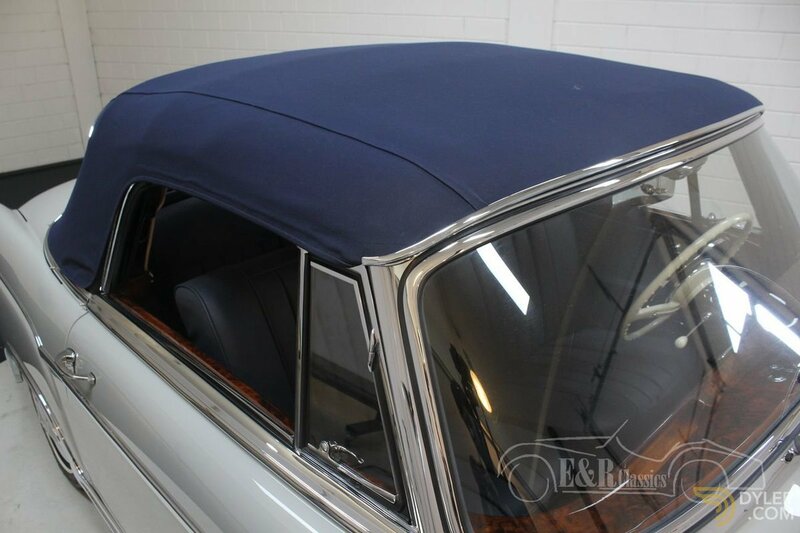 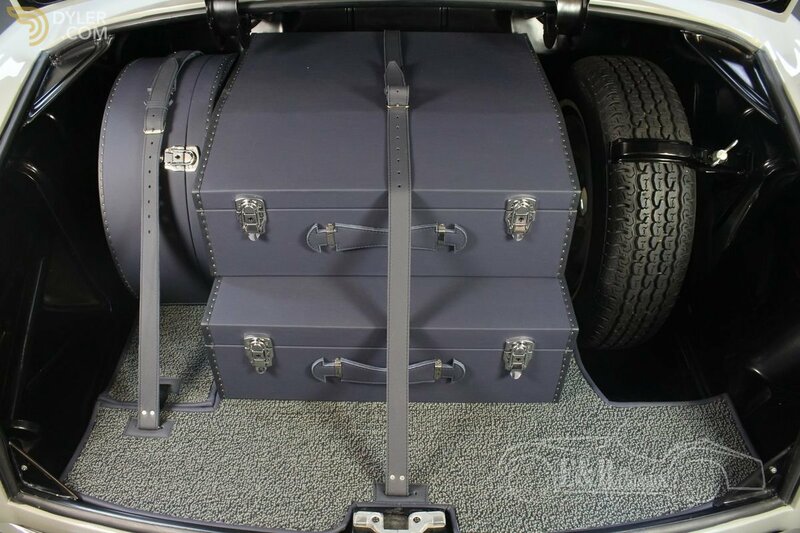 There is also a set of tailor-made suitcases with this 220 SE Cabriolet. 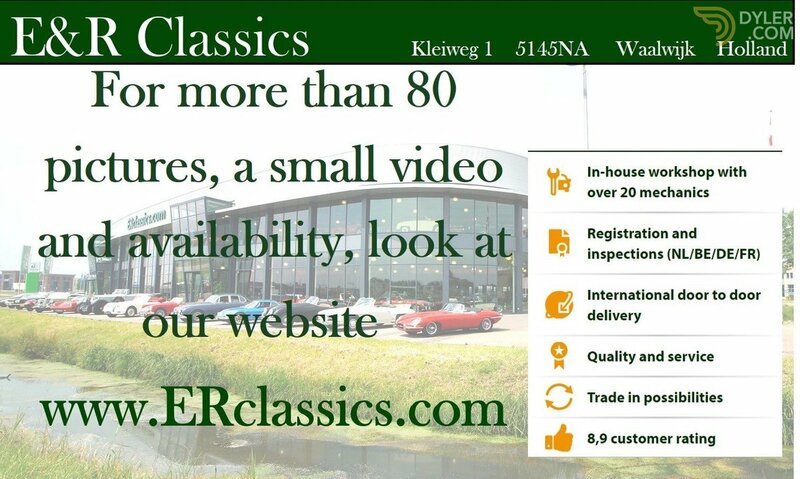 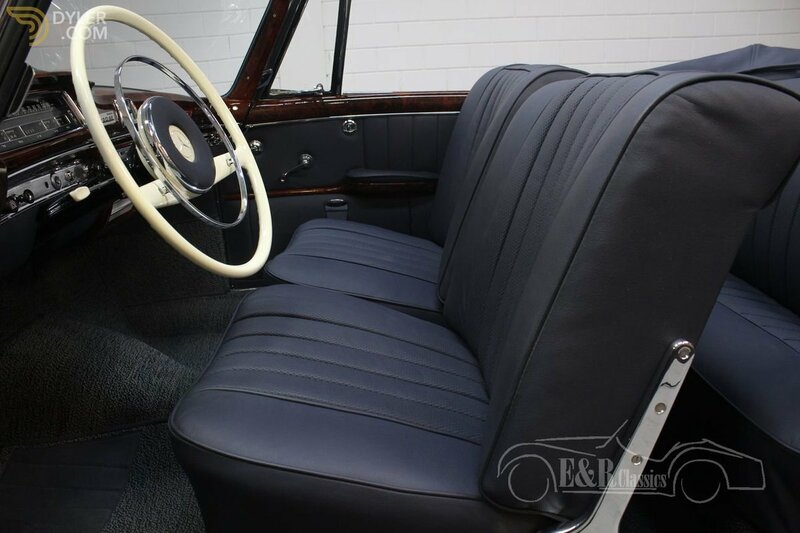 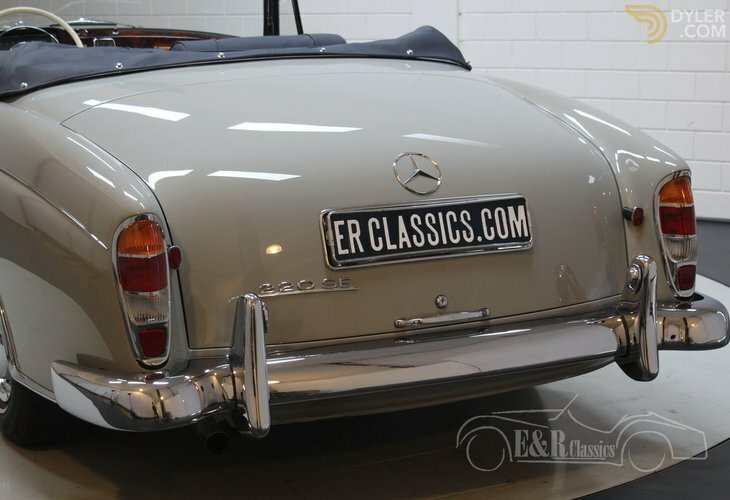 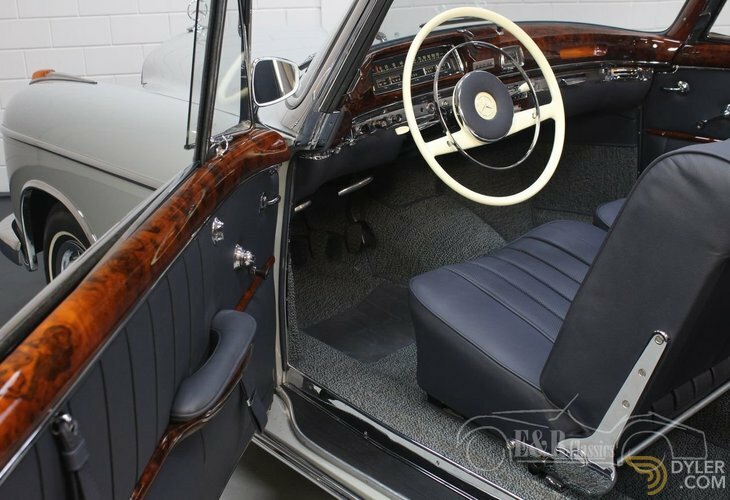 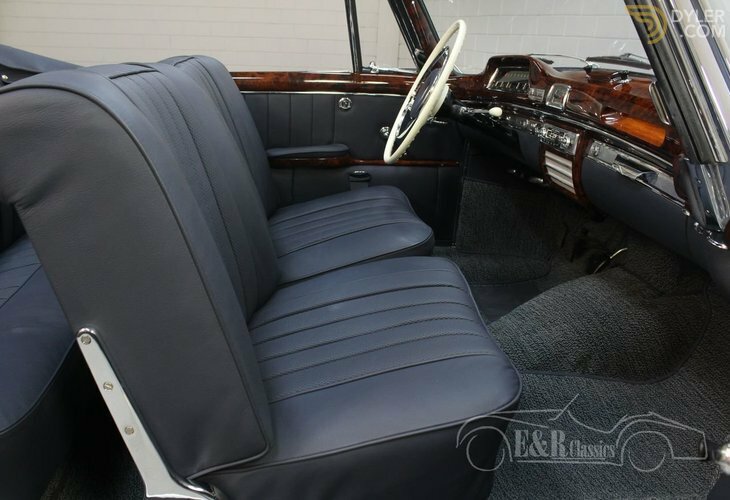 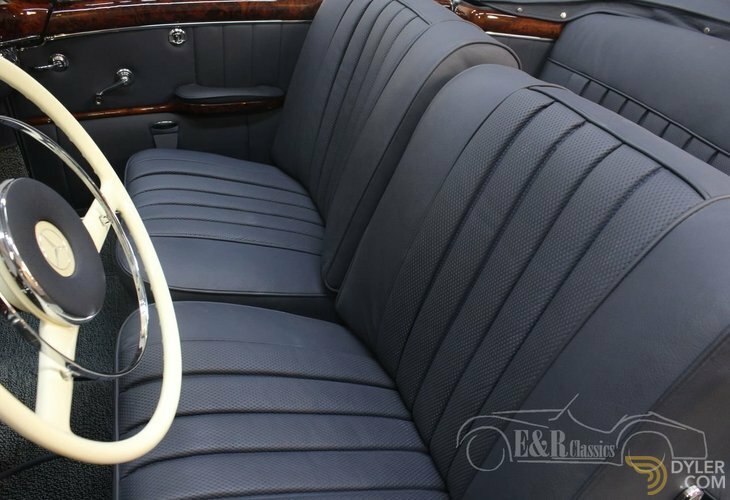 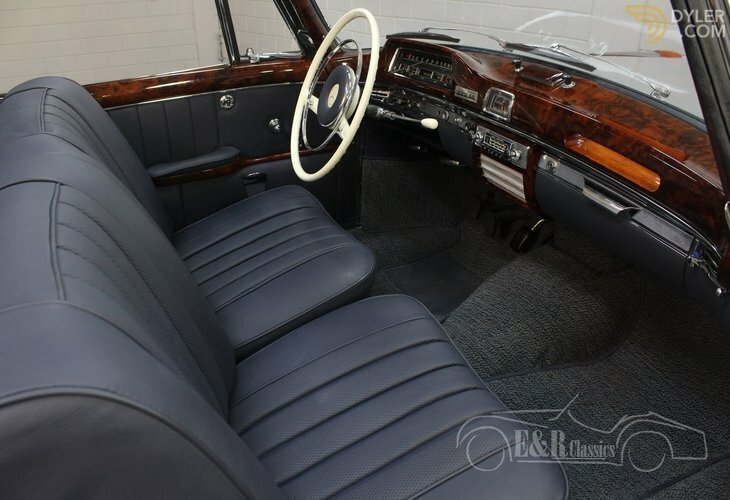 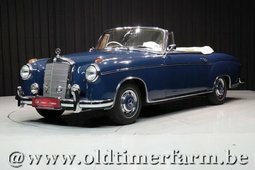 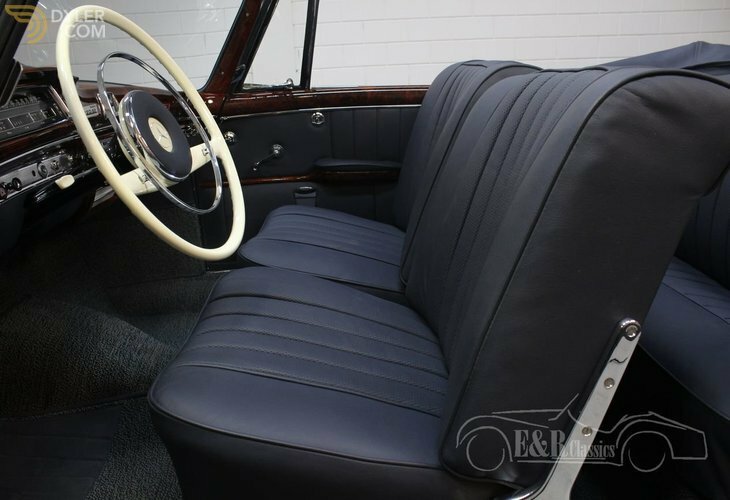 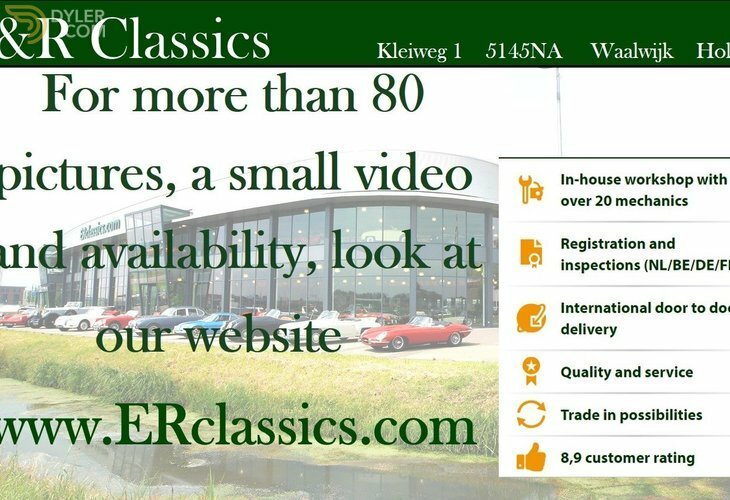 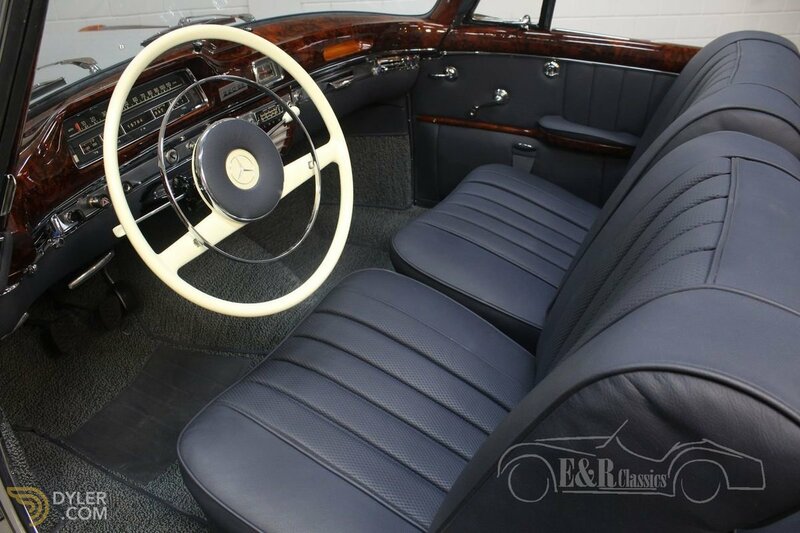 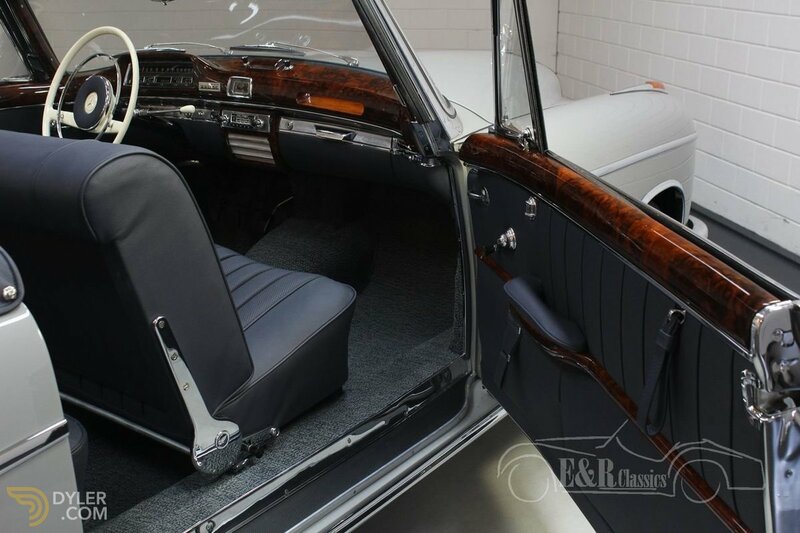 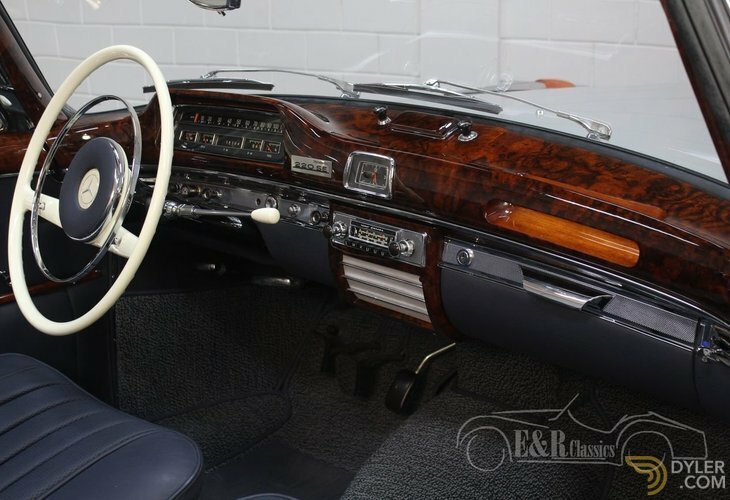 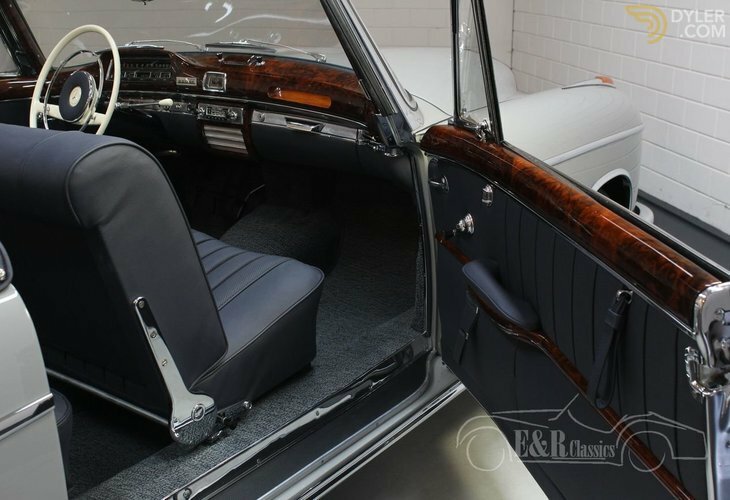 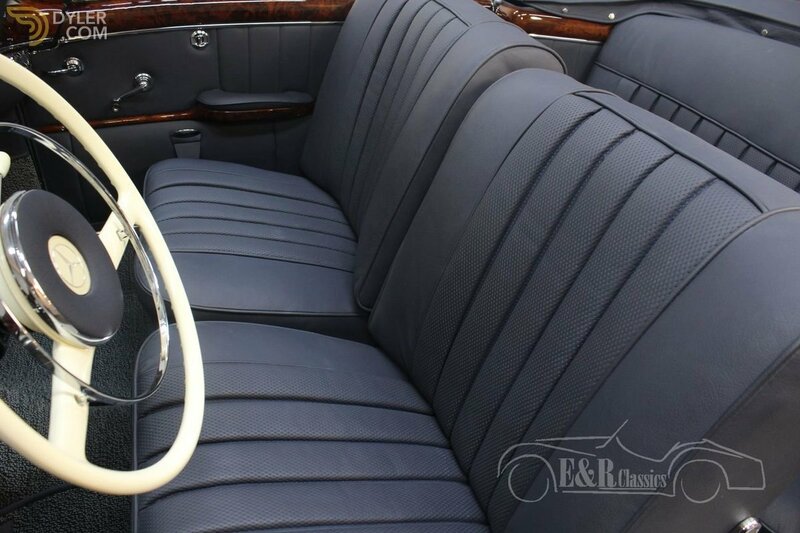 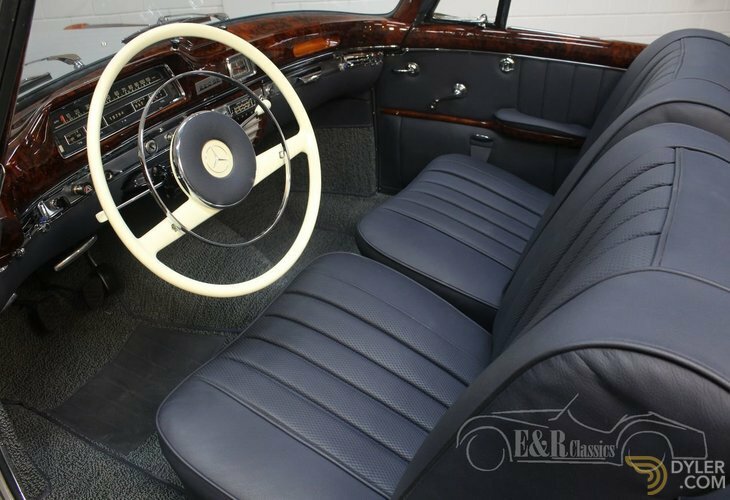 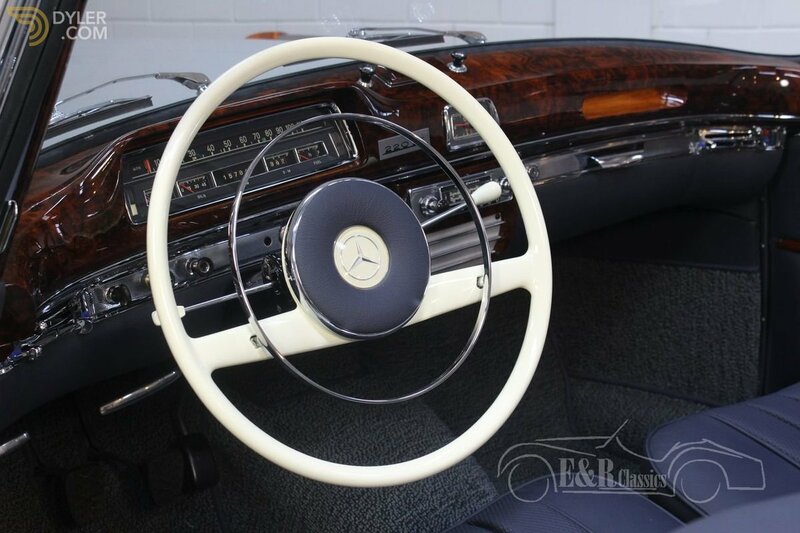 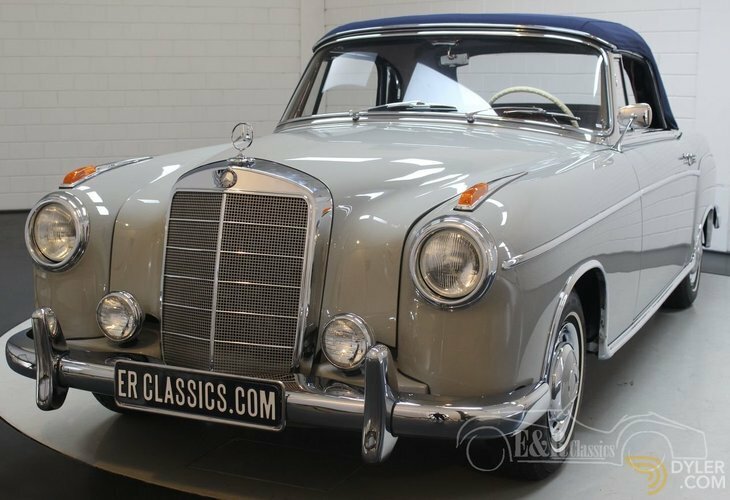 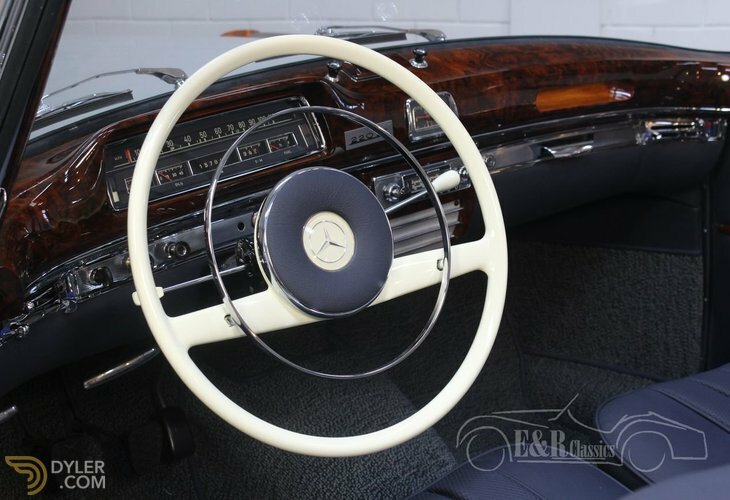 In short, a fantastic and completely restored Mercedes-Benz 220 SE in absolute top condition.